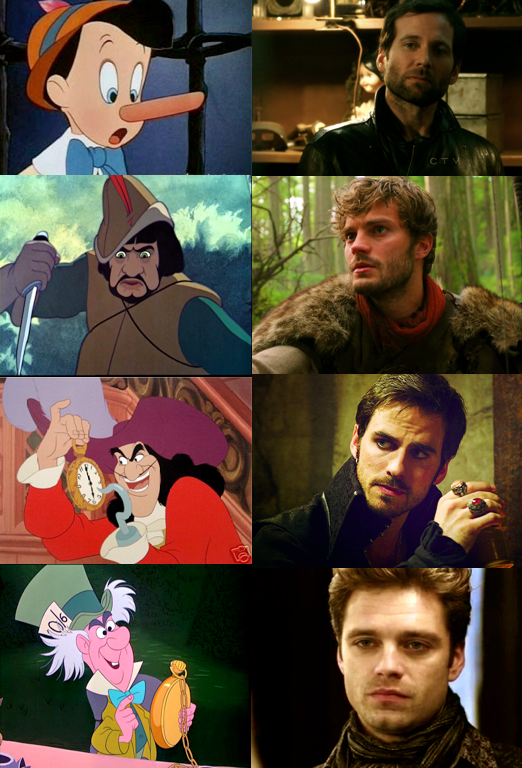 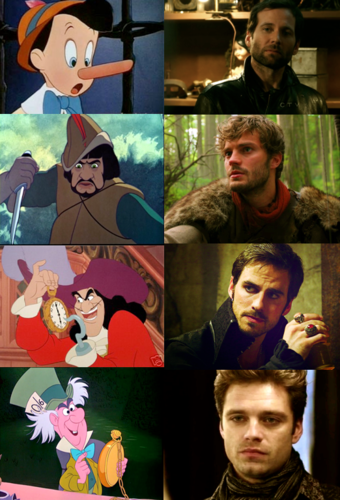 Disney vs. Once Upon A Time. . HD Wallpaper and background images in the Once Upon A Time club tagged: once upon a time captain hook colin o'donoghue eion bailey pinocchio jamie dornan the huntsman sebastian stan mad hatter.